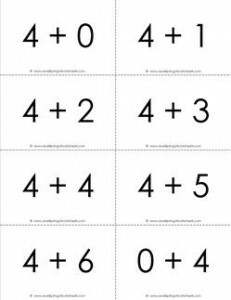 This 2 page set of printable addition flash cards for 4’s comes in simple black and white. Use for drill and practice. Make it fun though by timing yourself!